Now that the winter months are upon us, many of us may feel increased joint stiffness and pain. It is important not to lose motivation or use this as an excuse not to exercise and just keep moving! Pain is complex and everypne will experience pain differently, even when they have similar injuries. Lower back pain is one of the most common place people experience pain. Chronic back pain is identified as a persistent ache, lasting longer than three months, anywhere on the back, most commonly the lower back area. Back pain is usually caused by the way bones, discs, tendons, muscles and ligaments interact. Causes of back pain may vary including direct injury, medical conditions, years of poor posture, improper lifting and carrying of heavy objects, being overweight or congenital conditions such as a curvature of the spine. 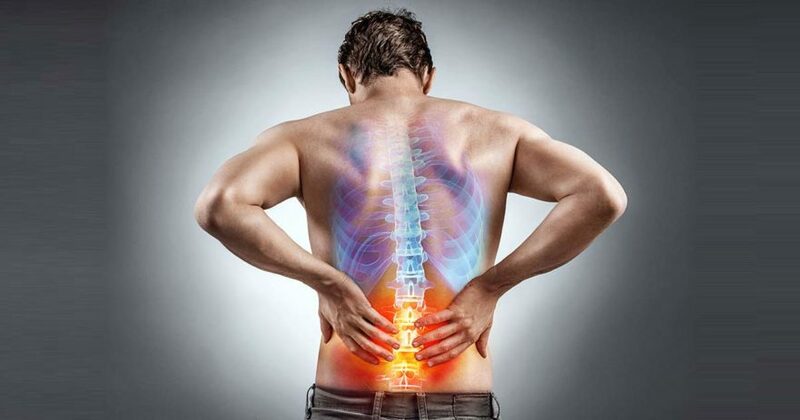 It is estimated 3.7 million Australians suffer from chronic back problems, many are also likely to suffer from poor quality of life and are unable to enagage in active, healthy lifetsyle. One in six Australians experience both the physical and psychological effects of chronic back problems. Releases endorphins, which can naturally relieve pain. A frequent release of endorphins can help reduce reliance on pain medication. Endorphins can also elevate mood and relieve depressive symptoms, a common effect of chronic pain. 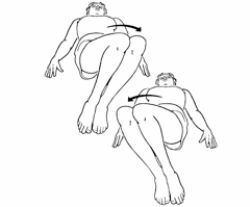 Some simple exercises you can do to help maintain mobility within the spine include knee rolls and gluteal bridges (pictured below).